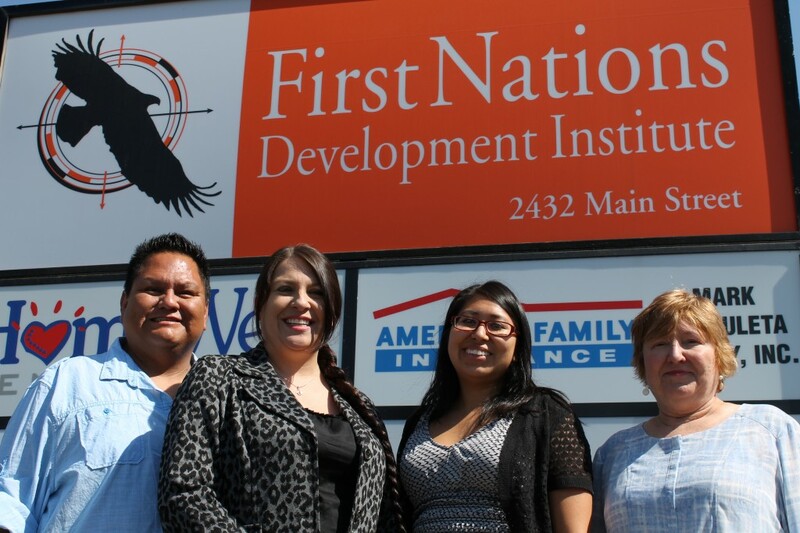 Over the past few months, First Nations has welcomed five new staff members. They are Anita Conner, Eileen Egan, Elton Naswood, Kendall Tallmadge and Tawny Wilson. Anita is our new Finance Assistant. She has worked in accounting and systems-support functions at various companies in Boulder County, Colorado, with many of those years at StorageTek. Eileen is our new Associate Director of Development and Senior Program Officer. 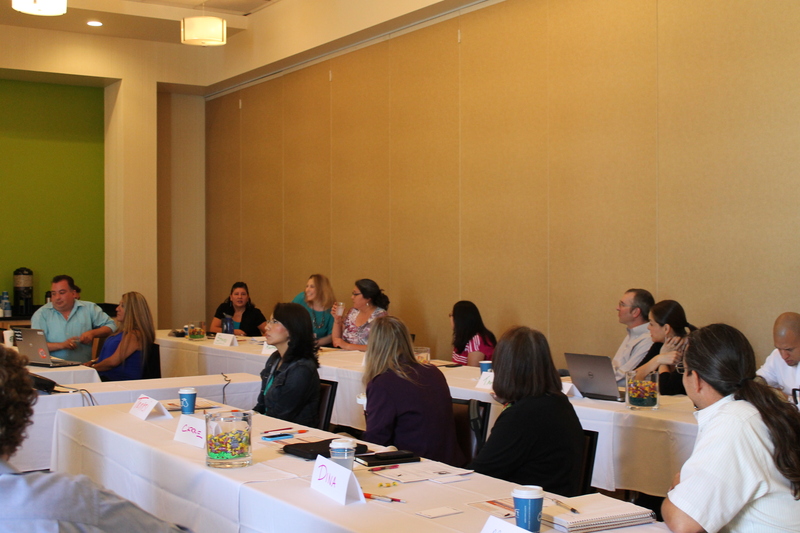 Eileen, who is a member of the Hopi Tribe, worked for many years in fundraising for the American Indian College Fund and most recently was providing fundraising counsel and organizational development services for nonprofits. Elton joined us as a Program Officer. Elton, who is Navajo, previously was a capacity-building assistance specialist at the National Native American AIDS Prevention Center and, before that, was founder and program coordinator for the Red Circle Project, AIDS Project Los Angeles. Kendall also joined us as a Program Officer. She is an enrolled member of the Ho-Chunk Nation of Wisconsin. She previously worked in the museum field and focused on improving relationships between museums and Native communities. Tawny is also a new Program Officer. She is Rosebud Sioux. Before joining First Nations, Tawny spent more than a decade in various roles in the finance industry as a licensed mortgage broker, banker and sales manager. 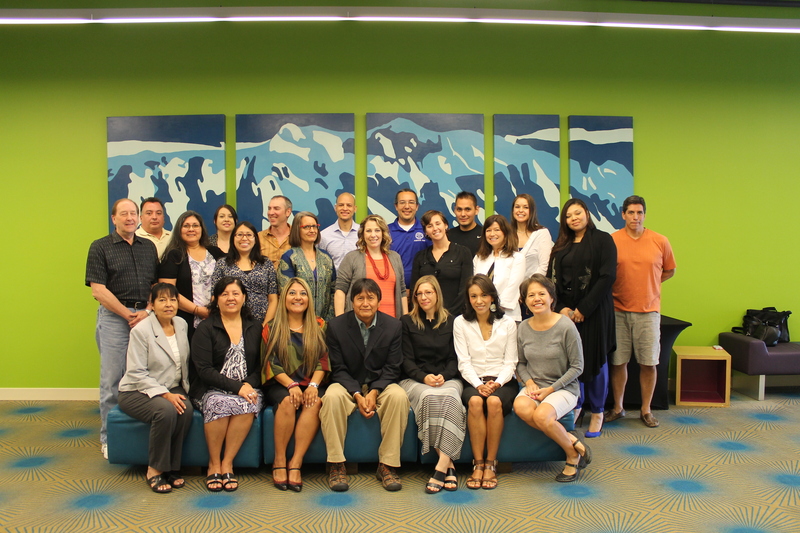 In its mission to strengthen Native American nonprofit organizations, First Nations Development Institute (First Nations) hosted a two-day Adaptive Leadership seminar in the Denver area in late June 2014. 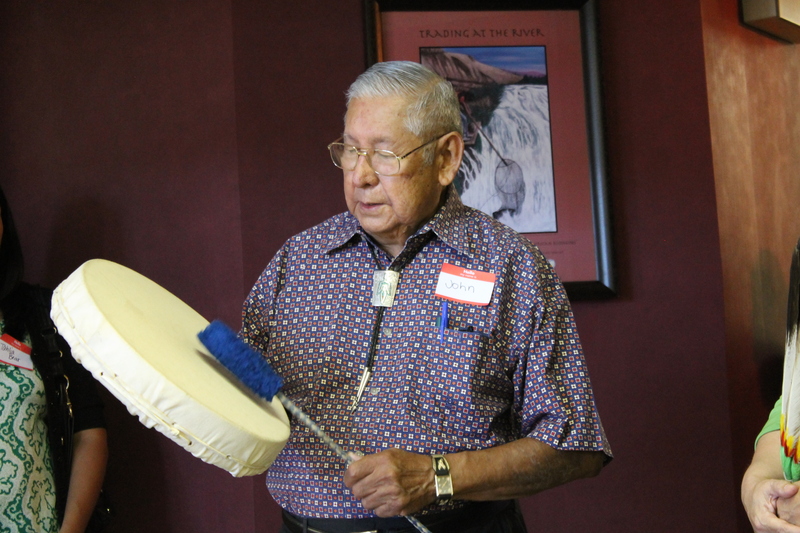 About 25 participants from nearby American Indian organizations were invited to attend for free. Dr. Begaye asks "What's the problem?" 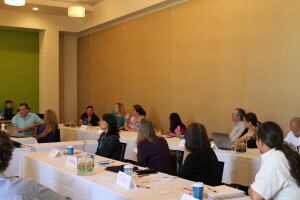 Attendees included staff members of First Nations, the American Indian College Fund, the American Indian Science and Engineering Society, the Notah Begay III Foundation, Spirit of the Sun, the Rocky Mountain Indian Chamber of Commerce, and First Nations Oweesta Corporation. 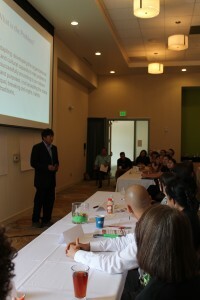 Dr. Timothy Begaye led the seminar. He is a technical advisor to First Nations and serves as the director of education programs and special assistant to the provost at Navajo Technical University in Crownpoint, New Mexico. Prior to his work at Navajo Technical University, Tim was faculty chair at the Center for Diné Teacher Education and an assistant professor of educational leadership and policy studies at Arizona State University. He also served as a teaching fellow at Harvard University’s John F. Kennedy School of Government, where he taught courses on adaptive leadership and Native Nation Building. He holds a doctorate in education from the Harvard University Graduate School of Education and assists colleges and universities in integrating Indigenous pedagogy both in the U.S. and abroad. His current research focuses on contemporary cultural challenges in Indigenous communities, social and cultural adaptation, and adaptive leadership. 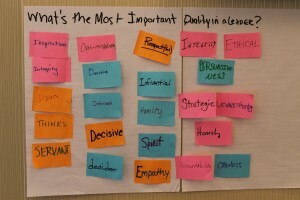 The seminar was informative and thought-provoking. 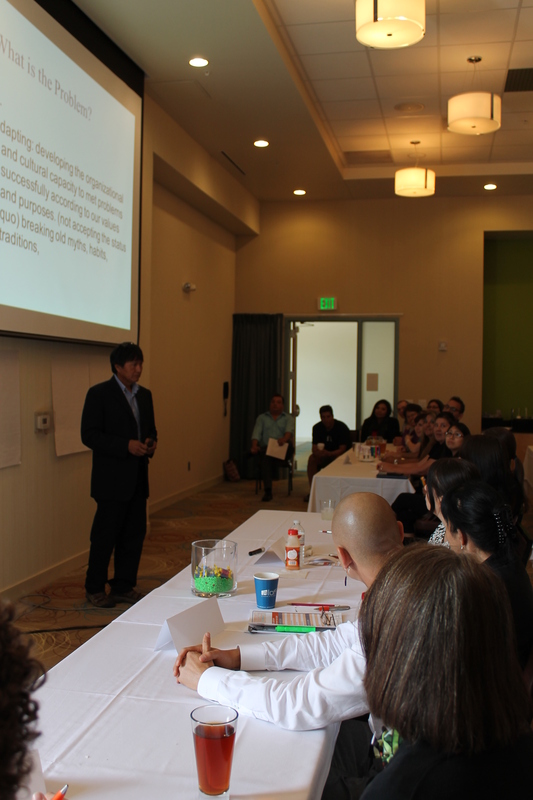 Participants found the training applicable to their own work and relevant to the constituents they serve. 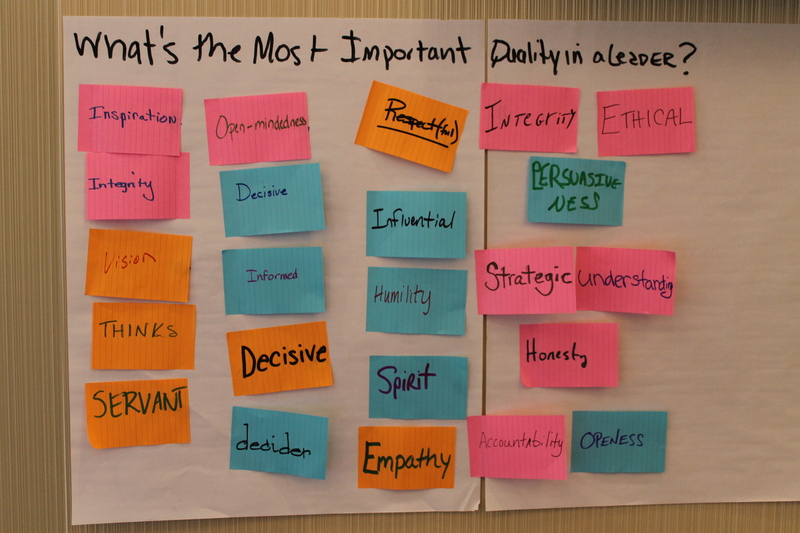 Over the course of two days, attendees learned how to use adaptive leadership strategies to diagnose and address problems or issues in their organizations, programs or communities. 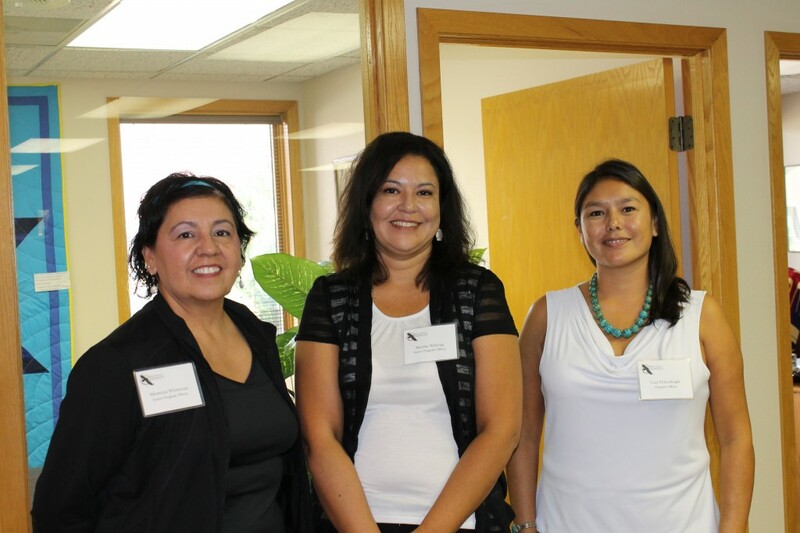 On Sept. 6, nearly 100 people came together to celebrate First Nations Development Institute’s new permanent home and office building in Longmont, Colorado. The occasion was an open house featuring good food, friends, supporters and, of course, lots of fun. First Nations actually moved into the existing building in the north part of Longmont back on April 26, but it wasn’t until early September that we were ready and able to pause and celebrate. We had to get everything situated and make a few updates and repairs (and we’ll continue to make improvements in the future), plus we had to do our regular work in the meantime. Some of the attendees included Longmont Mayor Dennis Coombs and other local elected officials, state officials, representatives from the U.S. Department of Agriculture, area business people, the professional and business tenants in our building, some of the funders, foundations and individual donors who help sustain us, and numerous representatives from other American Indian organizations in Colorado and New Mexico such as the Native American Rights Fund, the American Indian Science and Engineering Society, the Notah Begay III Foundation, the American Indian College Fund, the Denver Indian Center, and Native American Bank. We even had a few of our Facebook friends and Twitter followers drop by for the event. 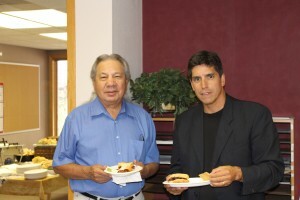 Besides ample and delicious food and the chance to reconnect with many friends and professional Native connections, the highlights of the observance were remarks and a ceremonial ribbon-cutting by First Nations President Michael Roberts (Tlingit), and a Kiowa song and blessing by noted Colorado Indian leader John Emhoolah Jr. (Kiowa and Arapaho). Then we celebrated with cake! We’re planning to call our building the “First Nations Professional Building.” It’s located at 2432 Main Street in Longmont, Colorado.